Blue Mountain winery is pleased to announce its tasting room will be open from 12:00 to 5:00 throughout the Easter long weekend (Friday, April 19th to Sunday, April 21st, closed Monday, April 22nd). As of May 14th, the tasting room will be open Tuesday through Saturday until October 12th. It’s a great time to visit Blue Mountain, as spring is in full flourish at the iconic Okanagan estate. Bluebirds have returned to the vineyards, and the winery’s resident osprey can’t be far behind. Arrowleaf balsamroot flowers, which are featured on Blue Mountain bottle capsules, carpet the surrounding hillsides. The winery’s tasting room offers spectacular views of the lush natural environment, and guests can enjoy the scenery as they taste Blue Mountain’s 2017 Chardonnay and access the limited quantity of 2017 Gamay Noir that still remains. Wine lovers who want to be kept apprised of Blue Mountain’s new releases, including the soon-to-be-released 2016 Reserve wines and 2015 Pinot Noir magnums, can join the Friends of Blue Mountain Club here. The winery welcomes groups. To arrange your visit, please contact Christie Mavety directly at [email protected]com. We ask all visitors to please watch for bighorn sheep grazing on fresh grass near the road! 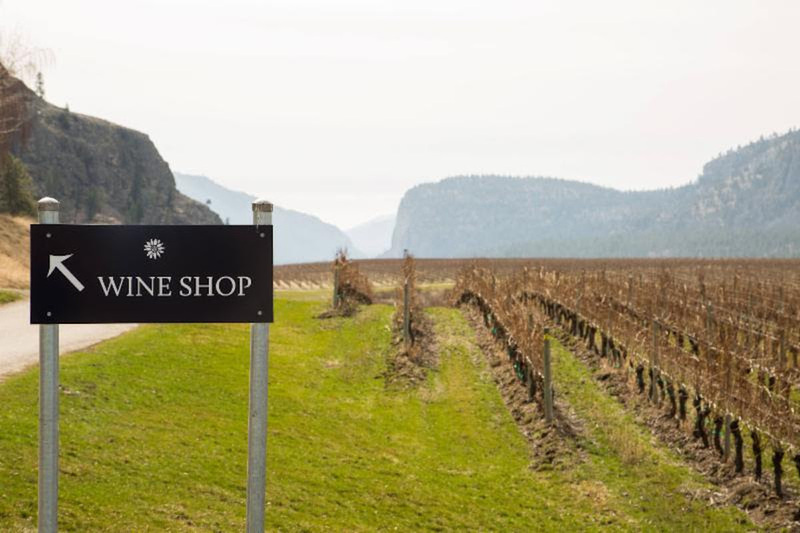 About Blue Mountain Vineyard and Cellars: Located in BC’s South Okanagan, Blue Mountain Vineyard and Cellars is distinctive among Canadian wineries in that all its wines are produced exclusively from grapes grown on the estate’s vineyards. Ian Mavety purchased the land that is now Blue Mountain Vineyard in 1971. Current owners Ian, Jane, Matt, and Christie Mavety continue to work to realize the potential of the region, utilizing sustainable farming methods and winemaking practices. Blue Mountain produces complex, age-worthy varietal wines that are consistent in style while allowing the expression of both the terroir and the individual growing season. Media release and images provided by Dana Lee Harris, Dana Lee Consulting Ltd.